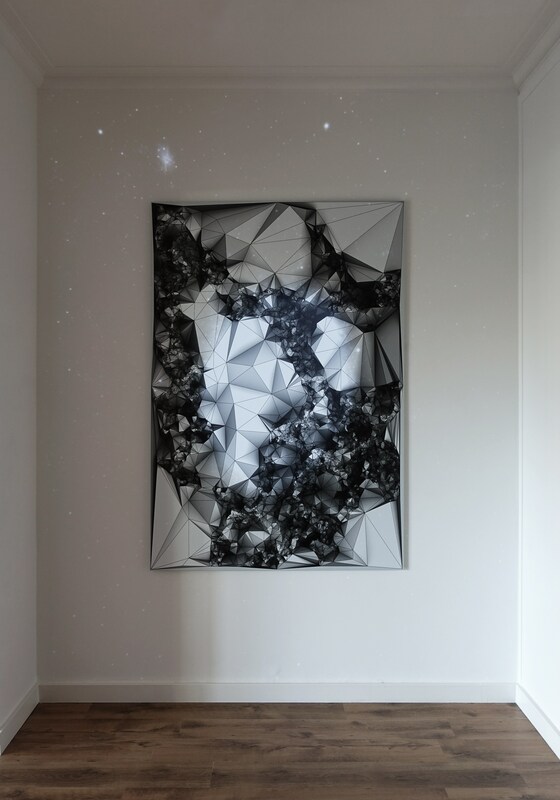 This piece is part of the Wall drawing series, installations where a visual is drawn directly onto the wall and augmented with a layer of projected light and ambient sound. 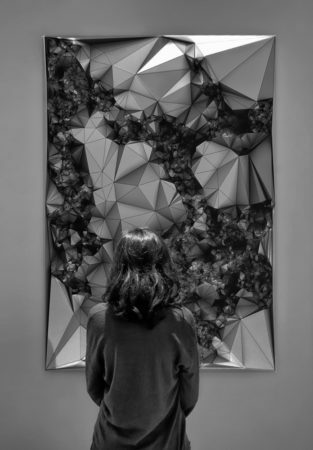 The visual is composed of straight lines, and repetitive patterns that represents structure of landscapes, rocks, planets, caves, made out of simple patterns, moiré, tessellated patterns. It plays with light, depth and visual perception, this series is strongly Inspired by Sol Lewitt’s wall drawings.